A story that started early Friday morning as a brazen attack on a police officer outside President Luis Guillermo Solís’ home unraveled this afternoon as a cover-up for police incompetence. Public Security Minister Celso Gamboa held a last-minute press conference Friday afternoon to clarify that a police officer with the last names Coto Rodríguez – who was shot in the left leg – was actually the victim of friendly fire from another officer, not two mysterious assailants on a black motorcycle, as originally reported. 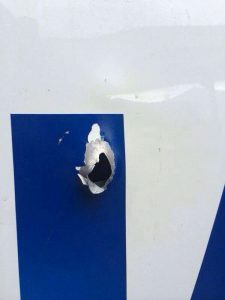 Investigation of the vehicle revealed that the bullet exited the vehicle from the inside out, ruling out any attack on the officers from the road. The ministry fired the six officers involved in the cover-up, including four officers from two separate patrols and a supervisor and an assistant, according to a statement released later that afternoon. “Anyone can make a mistake, unfortunately it was reported as an attempt against a patrol. That’s been ruled out and we’re not going to tolerate lies,” Gamboa said, according to the statement. The minister said the officers involved in the cover-up have been remanded to the Prosecutor’s Office for investigation and may face charges for filing a false police report, among others. 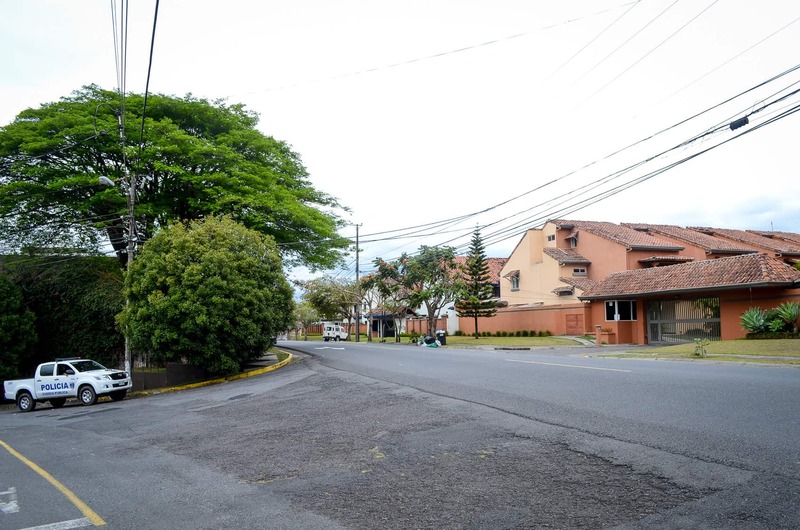 Preliminary information released this morning said that a police officer was shot and injured outside the home of President Luis Guillermo Solís in the Escalante neighborhood of San José early Friday morning. Police officers allegedly were near the president’s home when two “suspects” dressed in dark colors and black helmets on a black motorcycle drove by and shot one of the officers once in the leg. Police “found” a shell from a .25 caliber pistol at the scene. Gamboa stressed that the event did not involve President Solís and that the leader was never in danger. The officers were not part of Solís’ protection detail.